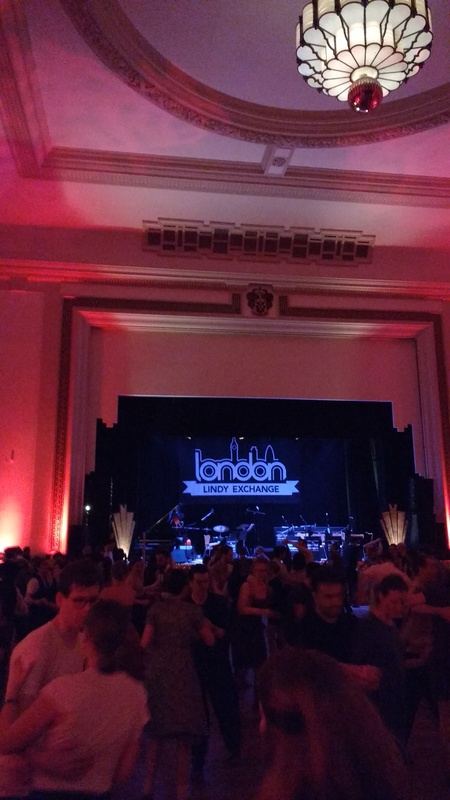 The first weekend of May I was at the London Lindy Exchange. It was not the first time I booked for it, but it was the first time that I managed to go, because last year I couldn´t go and had to sell my pass last minute. I had big expectations about dancing in London. I had heard about the London scene and I was looking forward to experiencing it. An Exchange is always an opportunity to dance with local people and with visitors without classes or pressure. And it is an opportunity to visit an amazing city like London, with multiple possibilities. The main parties were held at the Camden Centre. 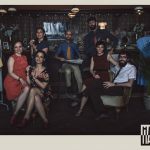 An amazing Victorian venue, very central, with high ceilings and a retro atmosphere. What else could I ask for? Maybe a good band? 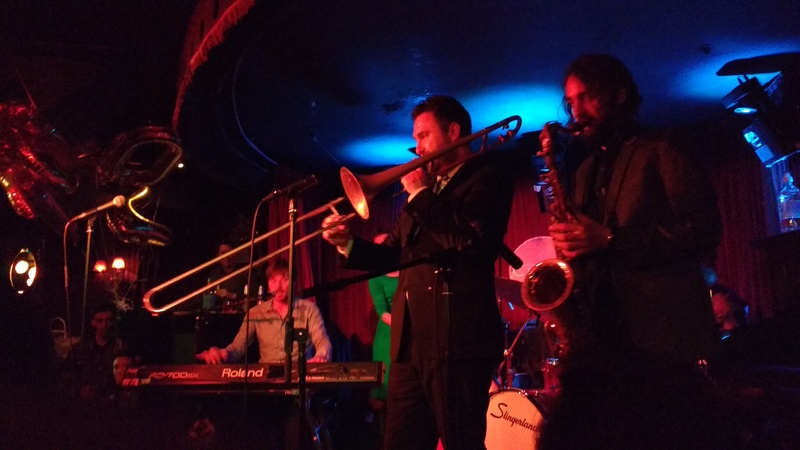 London Lindy Exchange had the best: the Gordon Webster Band, the best band I have ever danced to. They are not only technically great, they interact with the dancers, they accelerate and brake the songs, they increase the intensity… the best dream for a dancer; perfect music to show all the talent and musicality in the ballroom. Although the other bands were really good, they couldn´t be at the same level as Gordon´s. As a dancer, a more fun band, with more interaction with the dancers is always better. It is not only a matter of playing very well, it is about playing for dancers and interacting with them. Anyway, this is just my personal opinion. 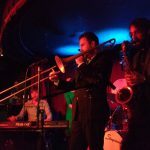 About the rest of activities, the London Lindy Exchange organised social dancing every afternoon in different venues around the city and a beautiful blues after party on Sunday night, with Gordon Webster and friends again. The location: the Proud Cabaret City, a subterranean cave with lot of glamour, in the Chicago style. Although the ballroom was quite small, this event is planned to socialise, sit on the sofas and chat with people whilst enjoying the best band in the world. And of course, you could have a cocktail and dance a few songs as well.